You will have your hair wash consultation in the following 2 days. You will be also given hair shampoo and lotion for your home use. Please note that medications such as painkillers etc. will be prescribed by your surgeon if needed. Washing in the first month is important in terms of removing the scabs and helping the healing process, but bear in mind that you must be gentle to your recipient area. In first 10 days or until the scabs are gone, we advise you to use the lotion every day referring the guide below. This lotion enhances your skin’s regeneration so that the donor area heals sooner and the scabs on the recipient area would go away sooner. It also provides moist on the scalp, which is important for healing and new hair results. In the first month, we advise you to wash your hair once in a day. The first month is accepted as the risky period, so please see the guide below and follow all instructions after your hair transplant procedure. We advise you to wait at least 1 month for the scissor or clipper. If you would like to use a razor blade, our recommendation is to wait at least 6 months to get the best result. Please bear in mind that you have to avoid any physical or chemical damage on your recipient area especially for the first 4-6 weeks following the hair transplant. For instance, we recommend our patients to avoid any physical activities such as boxing etc. Following the hair transplant, we advise you to apply the lotion daily only in the donor area, which is the back of your head, for the first week. You may apply the lotion to cover your whole donor area. Wait for 45-60 minutes and rinse out during hair wash. In the second week following your hair transplantation, you will see that scabs are almost gone. In this week, we advise you to apply the lotion to your donor area and the recipient area gently. Please apply the lotion to cover both areas. Wait for 45-60 minutes and rinse out during hair wash.
We advise you to apply the lotion just before your hair wash. Please avoid any damage to the new hair by applying the lotion with the same direction of the transplanted hairs. Use your fingertips very gently. Always move your fingers parallel to your new hair direction. We advise you to wash your hair daily for the first month using the shampoo given by us. It helps to remove the scabs and heal the donor and recipient area. We don not recommend a hair wash more than 2 times a day. How to apply the shampoo: First put some warm water to your head gently, preferably using a bowl. Then, apply the shampoo to your hand and create foam with your hand. Apply this foam to your donor and recipient area gently with your fingertips. Bear in mind to not rub or apply with strong movements, be very gentle. Leave the foam on your head for 2-4 minutes before rinsing. Rinsing: We advise you to rinse your head using water not more than 38 Celsius degrees. Do not use pressured water, so we advise you to use a bowl to apply the water gently. Please also bear in mind that you have to rinse all shampoo very well. 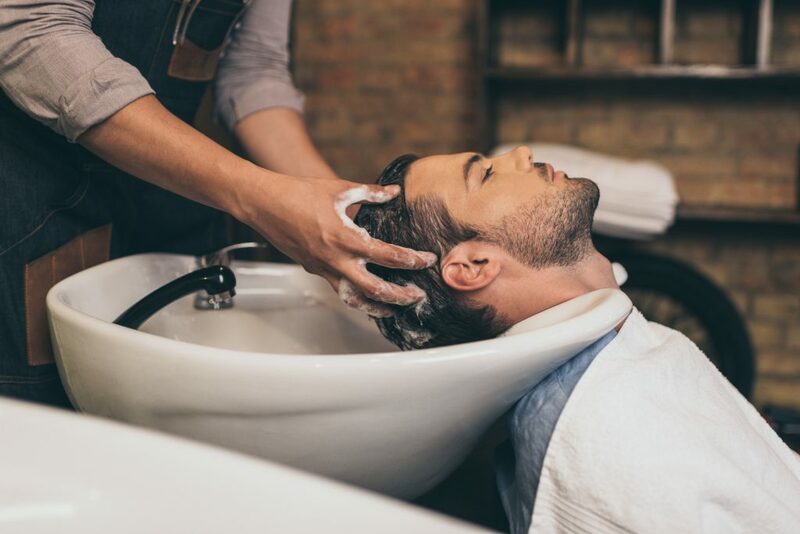 Drying the hair: For the first month following the hair transplant, do not use a towel. Use a hair dryer on a cool mode placing at least 10 inches away from your head.